Propertius is a poet of the Augustan period, a successor of the great Hellenistic elegiac poets Callimachus and Philitas, and a precursor of Ovid. His account of his fictionalized affair with his beloved alter ego Cynthia is the purest expression of the spirit of love elegy, setting them as a pair against war, epic and (apparently) Augustus himself. The treatment of their love is tender and at times delightfully macabre, in pursuing their love beyond the grave. edited and read. Some significant emendations discovered in the papers of A. E. Housman are published here for the first time. 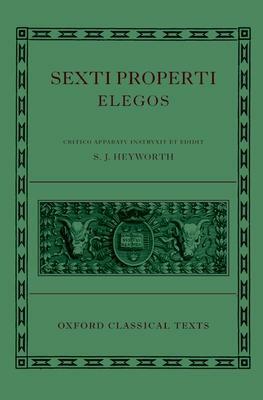 S. J. Heyworth is Bowra Fellow and Tutor in Classics at Wadham College, Oxford.